Table.2 shows the items listed in both DSM-IV and ICD-10. The only difference is that ICD-10 includes 'increased sexual activities' as a separate item, whereas in DSM-IV it is listed under 'risk-taking behaviour'. Hence, ICD-10 has nine items and DSM-IV has only eight items. 'Elevated' and 'irritable' mood are combined in both classifications (item 1, Table..? ), as are 'increased social activities' and 'psychomotor agitation' (item 7, T§ble.2). Box.2 shows the three stages of mania observed among inpatients before treatment. 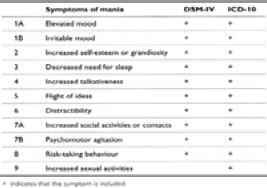 Whereas most depressive episodes are treated outside hospital, mania is usually treated in hospitals. Therefore most research on mania is still carried out in the hospital setting. 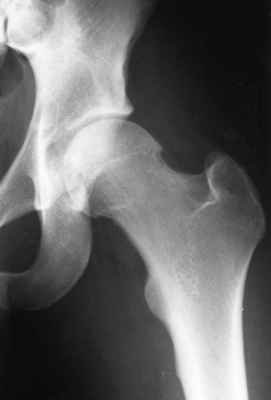 The study by Carlson and Goodwin (28) is among the few longitudinal studies in which untreated inpatients have been observed systematically; Box.2 is a modified version of their findings. As in the previous discussion of depression, self-reports will also be referred to. 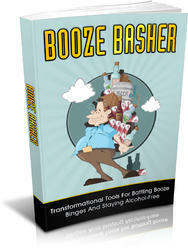 Get All The Support And Guidance You Need To Permanently STOP The Battle With Alcohol Once And For All. This Book Is One Of The Most Valuable Resources In The World When It Comes To Transformational Tools For Battling Booze Binges And Staying Alcohol-Free.